Packed with power and features, the Bio Quake X550 gives you a pro vibration plate experience at an amazingly reasonable price. This high quality dual motor 800-watt machine contains a 300-watt oscillation (pivotal) motor and a 500-watt linear motor for a full body workout. To make your vibration sessions customizable, the machine comes pre-programmed with three routine sessions and has three user-programmable slots for your own creations as well as a manual mode. You can increase or decrease the intensity any time by adjusting the 60 speeds of oscillation or the 60 speeds of vibration with the included multi-function remote control. The X550 can accommodate any sized user (up to 265-pounds) with a 20" wide plate and two included isometric straps for added stability and upper-body training. 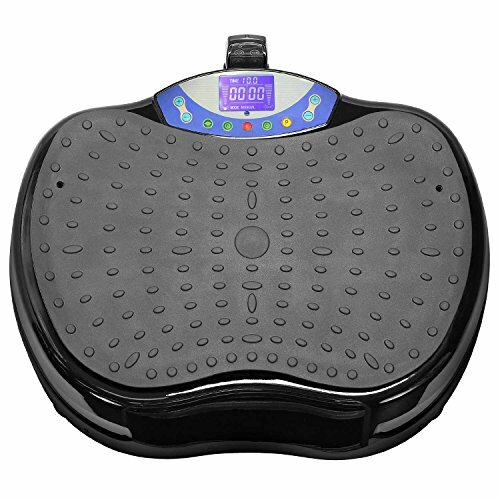 This unit is extremely sturdy with a durable steel frame and an attractive, high-gloss composite cover and features anti-slip, non-marring rubber feet. This expertly crafted unit is CE certified and comes with a standard US 3-prong grounded power cord. The machine comes fully assembled and provides a range of frequencies up to 30 Hz producing a G-force rating up to 18.1G and comes with a complete user manual with exercise suggestions. If you have any questions about this product by Bio Quake, contact us by completing and submitting the form below. If you are looking for a specif part number, please include it with your message.